We want to wish a very special happy birthday to Fort Valley United Methodist Church, but we wouldn't want to be in charge of the candles. 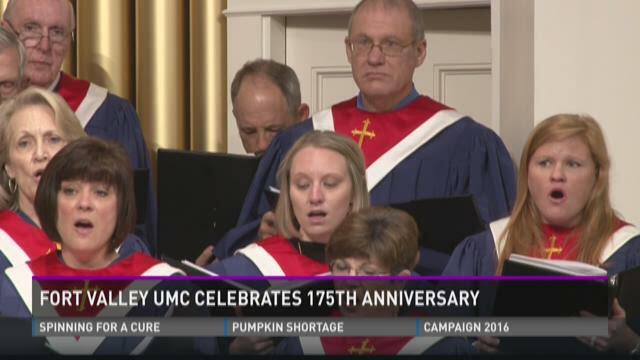 The church is celebrating its 175th anniversary, making it older than both Fort Valley and Peach County. "Fort Valley Methodist has, for generations, been a church that included many community leaders, business leaders.," says The Rev. Doug Mays, senior pastor of the church. "The treaty with the Creek Indians ceding this land to the state of Georgia, the ink was hardly dry on it when the Methodists established this congregation." Church historian poured over old church records in anticipation of the anniversary. Two people were found dead in a burned-out vehicle in the woods in Crawford County on Sunday. J.T. Ricketson of the GBI's Perry office says the bodies were badly burned and still unidentified. He said, although their cause of death is unknown, they're investigating the case as a possible homicide. "We're not ruling anything out, from accidental to homicide," he said. Many law enforcement officers find a string of high-profile cases make it more challenging than ever to connect with the communities they serve. 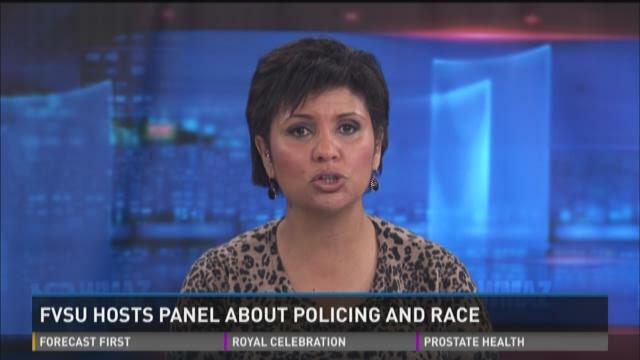 13WMAZ's Sitarah Coote attended a panel in Fort Valley where police and students joined a dialogue about what needs to happen to open up communication both ways. A Peach County man is accused of running marijuana-growing operations in four counties. Sheriff Terry Deese says Jason Lang of Byron is charged with conspiracy to traffic in marijuana, conspiracy to manufacture marijuana and possession of a firearm while committing a crime. Deese says Lang is accused of running "grow houses" in Houston, Crawford, Wilcox and Decatur counties. According to a news release, Lang was diverting electricity for those houses by bypassing the electrical meters. Five other people face charges in the case, according to Deese. 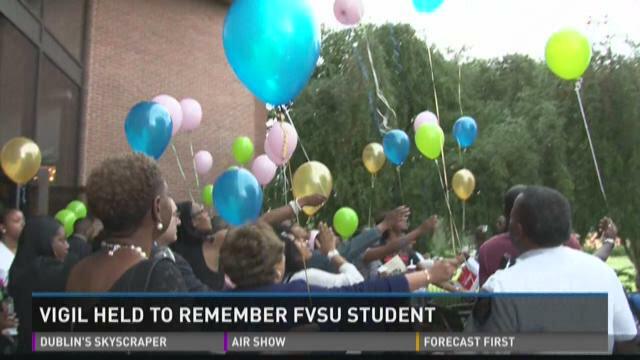 Friends and family of the Fort Valley State senior who died in a car accident last week gathered this afternoon to remember her life. Taylor Moore was a Mass Communication major and very involved in the school's peer education program. Several friends talked about Moore's personality, her Alpha Kappa Alpha sorority sisters called her an outgoing and an overly caring person. Moore's mother Miriam Knight, attended the event. Knight says the family relocated to be closer to Fort Valley. She changed jobs, and as a result, Moore's insurance coverage lapsed.